It’s been fifty years since the Civil Rights Movement reached its critical turning point with Martin Luther King Jr.’s “I Have a Dream” speech. Pop culture, the media and people everywhere are reflecting on that historic August day in 1963 when hundreds of thousands of Americans rallied in what would become the largest human rights demonstration in U.S. history. 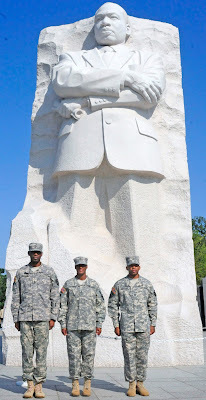 Dr. King fought for racial harmony and social and economic justice for millions of black Americans during a time of segregation and discrimination deeply rooted in racist attitudes within the spirit of “separate but equal” rhetoric. Looking back with the luxury of hindsight, these sentiments were an embarrassing period in American history, one that Dr. King fought to amend. As many other commentators before me have stated, we should always remember MLK’s calls for nonviolent change that advances all people, and how his leadership extended to millions with courage, poise and dignity. Red Line or Gray Line? We have come to the point on this blog, I feel, where Syria needs no introduction. Things have been escalating for months, even years now, and the death toll has surpassed 100,000 faster than many similar conflicts in the past. Vicky wrote last Wednesday about the newest development in the never-ending Syrian tragedy: the alleged use of chemical weapons. As Vicky mentioned, these are as of now allegations; the UN is investigating them as I write this article, and, as Vicky also mentioned, any UN results from the investigation will not include whether it was Asad's troops or rebel soldiers that actually used the chemical weapons. The videos are heart-wrenching to watch: a young boy, screaming and crying with other children in the street while bodies lie around them. A young man convulses uncontrollably, while others are sprawled in the halls of what appears to be an overwhelmed medical clinic; some still shake and show signs of life, others are clearly dead. 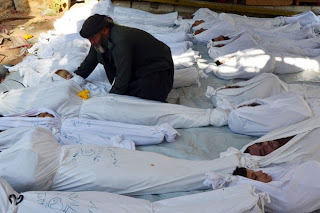 In what has become a hallmark of videos of massacres in Syria, makeshift morgues lined with scores of corpses leave no doubt that a massive attack has taken place. The surviving victims display many of the hallmark symptoms of sarin gas exposure: convulsions, foaming at the mouth, and dilated pupils, and the scale of the casualties only add weight to this conjecture. Videos of the attack today in the Ghouta region east of Damascus killing hundreds of civilians will test the United States’ ability to stay out of the two-year-old civil war in Syria. Opposition leaders have already pointed their fingers at beleaguered president and war criminal Bashar al-Asad. US Pres. Barack Obama has previously listed chemical attacks as a “red line” that, if crossed, would automatically trigger American intervention. Yet despite confirming that it had “conclusive evidence” of such an attack in June, the government has yet to deliver the promised military aid to rebel groups. The amount of footage from today’s alleged attack makes it difficult to dispute that something horrific has taken place in Ghouta, yet there is little reason to believe a Western response will go much further than rhetoric and promises of aid. The Asad regime denies that such an attack took place – and if it did, the government insists that it was at the hands of the opposition. There is, for once, good reason to be suspicious of the attack: it took place just a few miles from where the United Nations chemical weapons inspection team is staying in Damascus, after having arrived in Syria on Sunday. It seems counterintuitive that Asad would order an attack on a location that can be so easily and immediately accessed by UN inspectors, especially so soon after their arrival. The Asad regime has also been winning important battles using conventional methods, and there seems to be no good strategic reason that it would shift tactics now. In the chemical weapons attacks earlier this summer, evidence pointed not only to the regime’s use of sarin, but also to likely rebel use against government forces. Both groups claim the other is trying to frame them, and both may be right. If this is the case in Ghouta, then rebel groups murdered hundreds of their own supporters in order to gain Western support in the seemingly never-ending war against Asad, an unthinkable action. A man lays an infant to rest among scores of victims. Courtesy AP. Then again, the Asad regime could be growing increasingly confident that even if the UN team confirms the use of sarin, Western governments will still stay out of the Syrian civil war. Asad is many things, but an idiot isn’t one of them; he can sense as well as anyone else American and European reluctance to get involved in what would be a messy intervention, at a cost of billions of dollars to their already unbalanced budgets, not to mention on the side of rebels who may or may not end up supporting Western interests if they were to gain power. After all, the “conclusive evidence” of the sarin attacks earlier this summer cited by the American government has failed to provoke even the delivery of military aid, let alone boots on the ground. The UN teams must answer questions of who is culpable for the attacks swiftly if there is to be hope of outside intervention. The conflict has already caused human suffering at a pace and scale that is unprecedented in regional history: over 100,000 have died in the civil war, and more than half of Syria’s population has been displaced both internally and abroad. The addition of chemical weapons will devastate an already shattered country, and lessen the likelihood of a peaceful transition when the dust clears. In the worst case scenario, chemical weapons alongside conventional warfare will render the country Syria a barren failed state, with stronghold controlled by warlords where massacres and human rights violations regularly take place. In the best, a timely intervention by outside forces to establish No-Fly Zones and safe havens for civilians while assisting the rebels to win militarily or force the regime to the negotiating table would at least leave Syria intact as a country. At this point in the conflict, that’s the best we can hope for, and that is nearly as depressing as the West’s lack of intervention for the last two years. In the digital age of growing government and corporate surveillance all across the world, the Internet remains a crucial medium of everyday life. E-mail, social networks, digital media and seemingly unlimited data allow us to connect with the people and things we love whenever we want. Through the internet we can all be publishers and the world can be our audience, and our personal information has never been more valuable. 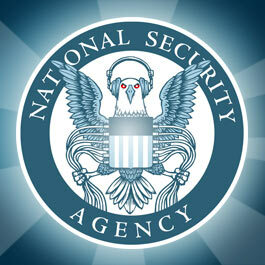 At the same time, our privacy and anonymity are increasingly coming under attack. Our personal data and information have never been more sought after by both states and corporations, and human rights groups are often the primary targets (as was recognised in this recent landmark UN report). 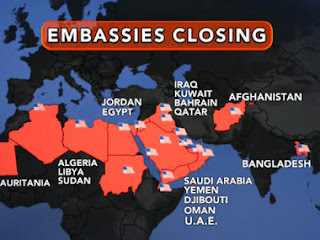 Finally, after two weeks, most U.S. diplomatic posts throughout the Middle East and northern parts of Africa that were closed amidst nebulous terrorist threats will reopen this week. After U.S. intelligence picked up phone conversations between two high-ranking members of al Qaeda (conveniently so, as now we have specific justification for why NSA and other U.S. intel groups do the things they do), these diplomatic posts were promptly shuttered - in some instances, such as in Yemen, U.S. diplomats were flown out of the country and into safer territory. It has been remarkable to see how quickly the State Department reacted to these threats, and how seriously they took them. And therefore, perhaps, what we've seen over the past two weeks is simply how effective terrorism still is and how relevant it will continue to be going forward. 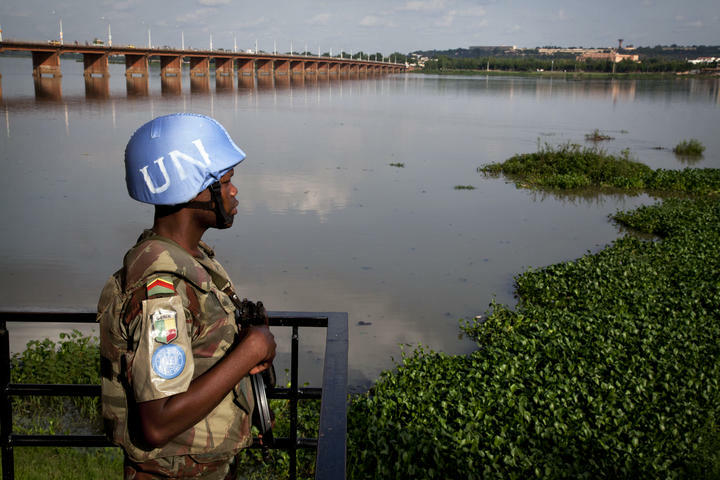 The West African country Mali may find hope at last in moving forward from its most recent conflict. Early last year an ethnic-based group, the National Movement for the Liberation of Azawad (MNLA) rebelled against the government and joined with various Islamist groups to create a separate state for the Tuareg people in the north Mali region. By March 2012 factions of the military, dissatisfied with the government’s response to the rebellion, ousted President Amadou Toumani Touré in a coup d’état. Shortly thereafter, the MNLA claimed the conquered territories of North Mali as an independent state, while the Islamist groups began to travel southward, hoping to establish shari’a law throughout the country. 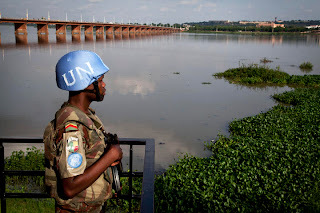 Even though the international community pledged to respond in October 2012, it wasn’t until France decided to lead the intervention in January 2013 that the country began to recover lost ground. Now, 18 months since the last president was overthrown, the country is able to improve its conditions with new leadership to guide development and recovery. In Yemen, the custom of early marriage just met a vocal challenger. 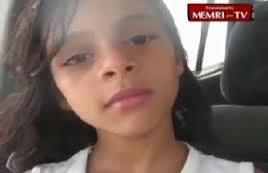 Going viral last week was a video of 11-year-old Nada al-Ahdal ranting about her parents’ decision to forcibly marry her off to a much older man. “What have the children done wrong? Why do you marry them off like that?” she asks the camera rhetorically. Her powerful, candid words touch a delicate nerve amongst Yemenis, some of whom still continue this custom. Just how many? According to a 2006 joint report by the Ministry of Public Health and Population, the Pan-Arab Project for Family Health and UNICEF, early marriage is widely practiced: 52% of Yemeni women and girls are married by the time they turn 18.